3 Pc. Dragon Conqueror Samurai Sword Set & Display Stand | BUDK.com - Knives & Swords At The Lowest Prices! This elegant 3-piece Open Mouth Dragon sword set will certainly please any serious collector or samurai enthusiast. 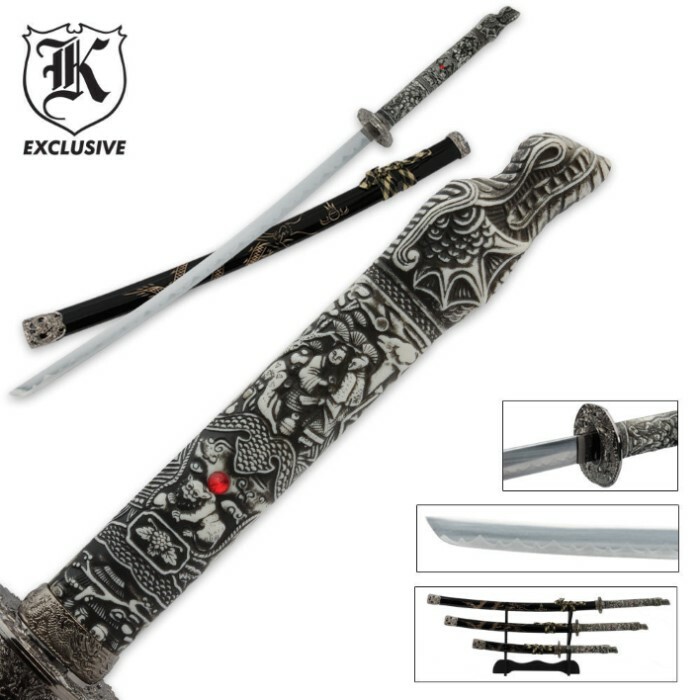 Make this the showpiece of your sword collection and display it proudly on your coffee table or bookshelf!